Sinatra. Singer, heartthrob, movie star, legend, icon and now restaurant. But it wasn't always this way. Sinatra - the restaurant - was originally Theo's, named after chef Theo Schoenegger. 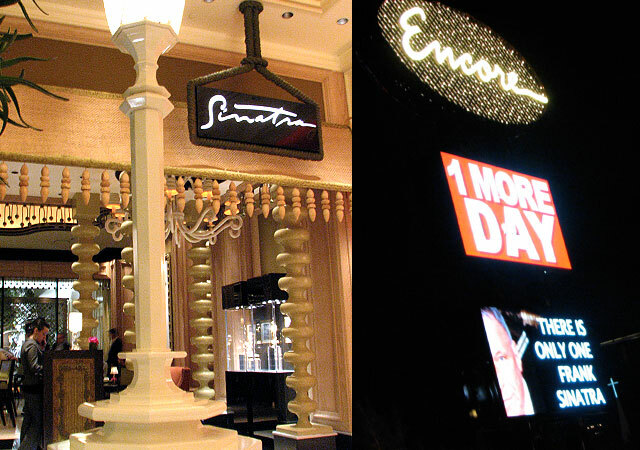 However, a social visit between Steve Wynn and members of the "Sinatra Family" during the final months of Encore's construction resulted in an agreement to rename Theo's' Sinatra. 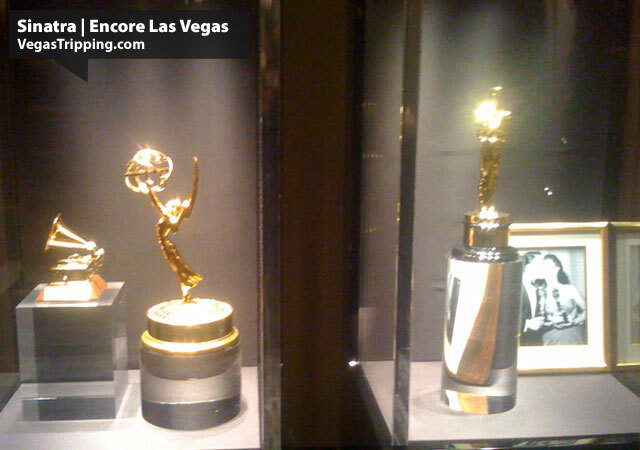 In addition to the installation of large scale portraits, a display case featuring some of Frank's hard earned hardware - his only Oscar, Best Supporting Actor Oscar for From Here to Eternity (1954), one of his 11 Grammy Awards and one of the two Emmy Awards won by the the mini-series Sinatra(1992). 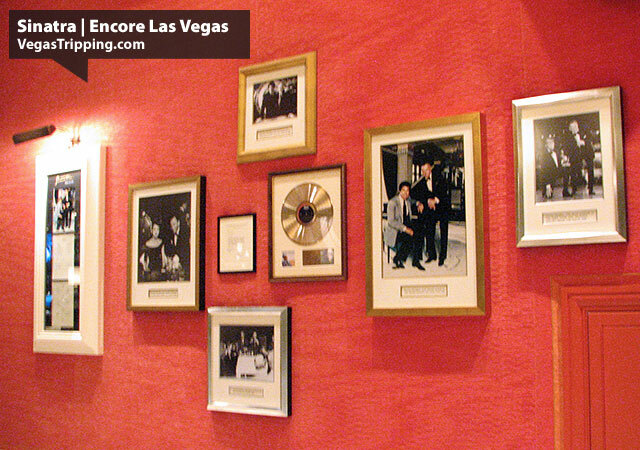 The exterior of Sinatra features an expansive wall of fame which recounts many events in Frank Sinatra's career, including his long standing relationship with Las Vegas via the Rat Pack and various promotional photos of the Chairman of the Board with a young Steve Wynn at the Golden Nugget casinos in Vegas and Atlantic City. It's a real treat to look at and easily passes any time you may spend waiting for your table inside to become available. italian sparkling wine from Italy is called Prosecco. I took my Mom here for her birthday, unfortunately it was the last night of CES and the room had 4 tables of 15 all trying to talk over each other. I know they were playing music but you couldn't hear it over the din (outside was closed due to poor weather). We started at the Bar where they make an awesome Tiramisu Martini. The Appetizers were a good start (I enjoyed the Carpaccio while Mom had the Assaggini Di Mare shown above - however the main courses were uneven. My Ossobucco was amazing but the risotto cannelloni that came with it seem like it was made from yesterday's left over risotto. Unfortunatly my Mom ordered the Cioppino with a "tomato saffron broth" - what she got was a plate of small pieces of fish (Bass, shrimp, lobster, and Clams) with a teaspoon of tomato broth underneath. No hit of saffron and certainly now what I would call a cioppino. It was obvious that they were still trying to find their rhythm and having sveral big tables at once threw things off in the kitchen. Still the space was amazing but the food just didn't match up to it - perhaps if we had gotten the special Chief's tasting menu (no tasting menus were offered that night) we would have had a better experience.